Perfect Marine Fuel. Don’t let ethanol ruin your seals and hoses – especially in your small engines at home. We are one of the few “pure gas” retailers around. Don’t pay extra to exchange your tanks when you can fill them with bulk propane right here at Nick and Moes. Gas grills, RV’s, and more get refilled here! We pride ourselves on our wide selection from drinks to alcohol to tobacco to snacks and even hot food. But, we didn’t stop there. 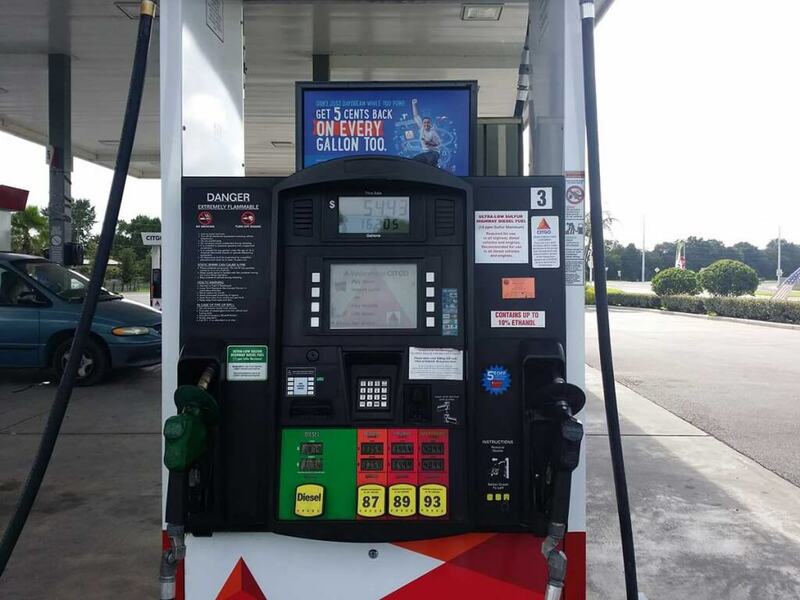 We even have a wide selection of fuels for your every need. Of course we are proud to carry your typical grades of Citgo gasoline: unleaded, plus, and premium too. We also provide Diesel for your hard-working vehicles. Besides your regular diesel for your cars and trucks, we also offer off-road diesel, or dyed diesel for boats and other off-road usage. This is a cheaper untaxed diesel and it is not for use with any vehicles intended to travel on regular roads. We also offer bulk propane for your convenience. Whether you need to just fill a small tank for your grill or big tanks for an RV or Camper, we are glad to help. We also offer ethanol-free gasoline for your marine use. This “pure” gasoline is much better for engines that are not designed to use ethanol. Your hoses and gaskets will thank you. Our ethanol-free fuel is also the fuel of choice for your smaller lawn motors on things like small tractors and lawn mowers. In September, 1986, Southland sold a 50 percent interest in CITGO to Petróleos de Venezuela, S.A., (PDVSA), the national oil company of the Bolivarian Republic of Venezuela. PDVSA acquired the remaining half of CITGO in January, 1990 and the company is owned by PDV America, Inc., an indirect, wholly owned subsidiary. With a secure and ample supply of crude oil, CITGO quickly became a major force in the energy arena.